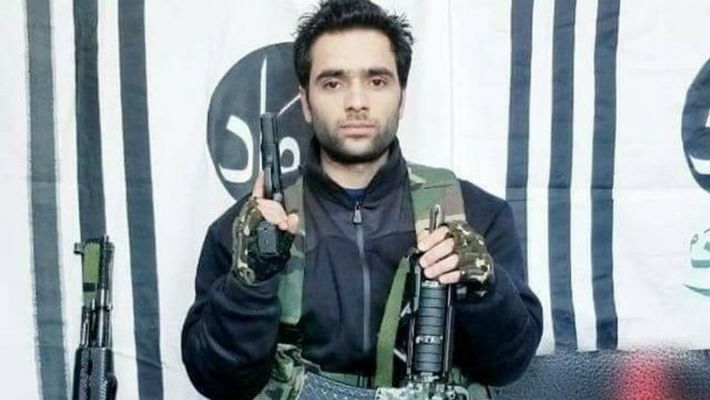 Jaish-e-Mohammed terrorist Adil Ahmed Dar rammed his explosive-laden vehicle into a bus carrying CRPF personnel in Jammu and Kashmir's Pulwama district on Thursday, killing at least 40 jawans and injuring 50 civilians. It was the biggest terror attack on the security forces in Kashmir so far. New Delhi: The security forces were hunting for the past six months for Adil Ahmed Dar, the suicide (fidayeen) bomber behind the biggest terror attack on the forces in Jammu and Kashmir, which killed at least 40 jawans and injured 50 civilians on Thursday. Top sources in the security forces confirmed to Mynation that Dar was absconding from his house and his relative had filed a complaint with the local police. He was among the 191 suspects whose details were shared with all forces including the Central Reserve Police Force (CRPF) and Indian Army. "We were looking for this man since almost 6 months. He had left his home and joined militancy. He had shared details and photos claiming that he had joined the Jaish-e-Mohammed (JeM). All security forces were looking for him but there was no information that he, along with others, was planning a fidayeen attack," said a senior officer involved in special operations in the Jammu and Kashmir region. Sources claimed that Dar was also known as Waqas commando of Gundibagh, Pulwama. Before carrying out the attack, multiple photos of him with sophisticated weapons were clicked and uploaded on Facebook for the purpose of propaganda. Sources in the CRPF are claiming that at least 100 kg of IED was used to carry out the attack, but a terror sympathiser claims on social media that 200 kg IED was used. “It is expected that not less than 100 kg of IED was used in carrying out the attack. Though the official call on the quantity of IED will be taken by experts,” the officer added. The number of casualties is, unfortunately, expected to rise. The explosion was so powerful that parts of the bus and bodies got scattered over a large area.